Digital Yacht have been developing and selling marine PCs for over 10 years now and in that time we have used many different makes and models of PC Motherboard – the main circuit board inside a PC. When a customer contacts us about their Digital Yacht Marine PC, the most important information that helps us understand the model and build history of the PC is the type of motherboard it has. 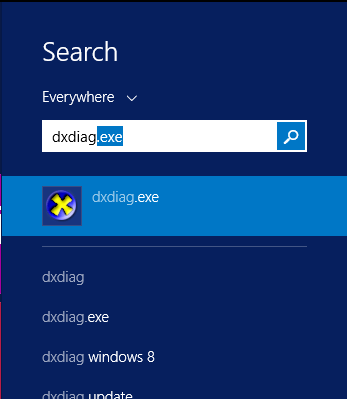 To find out this information, the easiest way is to use the Microsoft DxDiag program that has been included with all versions of Windows since Windows 98 (2nd Edition). 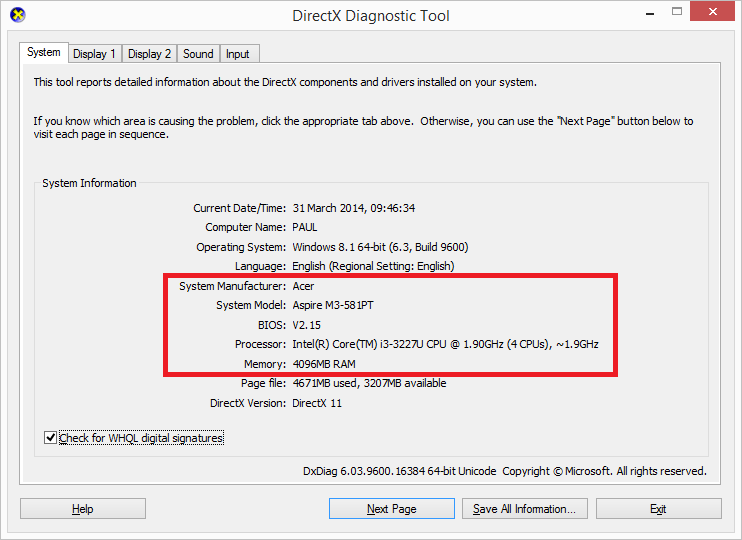 When DxDiag runs it displays the following Window which includes the Make and Model of the motherboard and also the BIOS version, Microprocessor and RAM information. With this information, Digital Yacht will be able to answer any questions about your PC and provide any assistance and support required.